Rogue One is, in many ways, totally different from Episode 7. I believe for many who didn’t like Force Awakens this will be a refreshing installment. Since “Empire Strikes Back” has become short hand for a darker middle sequel, this is the “Empire Strikes back” of the first six films; it happens between the originals and the prequels. Featuring characters from the original ’77 Star Wars, whether recreated using creepy CG that doesn’t quite cross the uncanny valley, or using footage from the original to cut in a few characters it feels a lot like a prequel worthy of the original. I will give you this warning: some have called it a “downer” and it might be seen as such by many, but the final shot of the film is both a fun reveal for long time star wars fans, and a tonal shift that will serve to change the entire feel of the film. 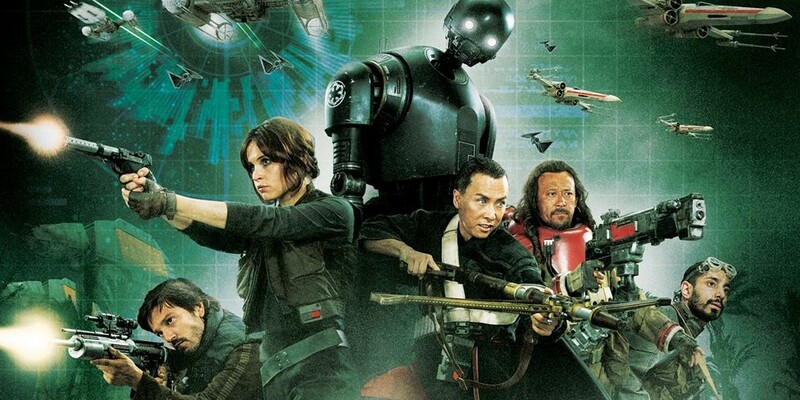 Despite the darkness Rogue one has a great deal of fun, several laughs and will definitely entertain with both comedy and action. Beyond this, I personally enjoyed the exploration of the role of the Force as a guiding entity in the lives of non-Jedi. As there are no Jedi in this film I was worried that it wouldn’t feel like a Star Wars film, but in fact this feels more like star wars – and understands the role of the Force in a way that the prequels didn’t. The way that these warriors pray to the Force, trust the Force, and walk into certain death without fear because of the Force shows that it is more than just midichlorians, mind tricks, and making things levitate. As such I’d recommend it to any long-time star wars fan given they have the right expectations and don’t mind a darker chapter.